Cleaning extractor hoods and maintaining ductwork are crucial operations for every catering establishment. The strict requirements set out in fire safety, food hygiene, building regulations, employment law and COSHH are easily breached by incorrectly fitted, improperly cleaned, poorly maintained or misused kitchen extractor systems. Looking after extraction hoods and ducts in the proper way protects your staff and customers from the many risks and illnesses that can arise. It also protects your business from falling foul of the regulations. UK Commercial Cleaning has the expertise, experience and resources to provide the best training possible. Catering and cleaning staff from across the country come to us for BESA accredited training. BESA, the Building Engineering Services Association, set the standards for building services industries. They approve and oversee the content and quality of our training course. In the future, BESA accreditation may be a requirement for both tenders and insurance within the industry. 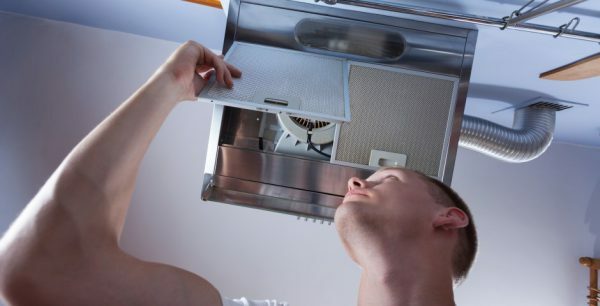 An introduction to the different types of extractor, duct and filter. How to ensure sufficient power is installed and maintained, including hands-on instruction in the fitting of access panels (flat or curved). Equipment training in the use of PPE, steam cleaners, wet vacuums, steps and ladders, cutting apparatus (for fitting inspection ducts), floor scrubbers and buffing machines, including their proper maintenance. The basics of food, air quality and fire safety in commercial kitchens. Remediation strategies appropriate for contaminants such as soot, grease, grime, limescale, rust, and insect or vermin detritus. Practical cleaning techniques; for hoods, fans, filters, ducts, control panels and splashbacks. Use and storage of all chemicals in accordance with COSHH guidelines. An explanation of the BESA TR19 standards, and how to meet them in perpetuity. Our great value one-day Extraction & Ducting Training courses are held in Gateshead and run every 3-4 weeks.